Recently demobilized from service as a nurse in World War I, and having inherited money from her sister, Florence Nightingale Shore is looking forward to a week at St. Leonard’s-on-Sea, and a long-awaited visit with her old friend Rosa Peal. Florence boards the train at Victoria Station, wearing a new fur coat that was a birthday present to herself. But much to Florence’s surprise and annoyance, her “friend” Mabel Rogers appears on the platform waiting to help Florence with her luggage and settle her into her carriage. The whistle blows as Mabel departs the train. At the Lewes Station stop, Florence is found beaten and unconscious. She dies without revealing the identity of her attacker. The mystery now unfolds in London as 18-year-old Louisa Cannon, fleeing a life of poverty, secrets, and exploitation inflicted upon her by her uncle, begins service as a nursery maid to five girls and a boy of the Mitford family. Louisa’s character is well-developed in the recount of her struggle to better herself by running from her past, and fear that her prior life will be discovered by her new employer, Lady Redesdale. Louisa’s determination to survive rings clear from the first time she is assigned to work in the quiet of the linen room. Louisa settles into her position without incident, though guilt over leaving her mother behind to deal with her wicked uncle continues to haunt her. Practiced lying only accelerates rather than diminishes. Nancy Mitford, the 16-year-old eldest child, possesses her own secrets and finds not only a friend in Louisa, but a confidant and aide in Nancy’s own clandestine plans to enjoy gaieties outside of her “cocooned” existence. When Nancy reads about Florence Nightingale Shore’s murder in the newspaper and learns that Louisa was on the same train, the two become amateur sleuths and attempt to find the killer. Louisa’s love interest, Sergeant Guy Sullivan of the London, Brighten, South Coast Railway Police, joins the team and puts his job on the line after his superintendent forbids Sullivan from investigating the case. Fellowes’s plotting, however, is tight and the setting is vivid. Any reader that was a Downton Abbey fan can easily envision the grandeur of the Mitford manor and the upstairs/downstairs relationship that develops between Louisa and Nancy. 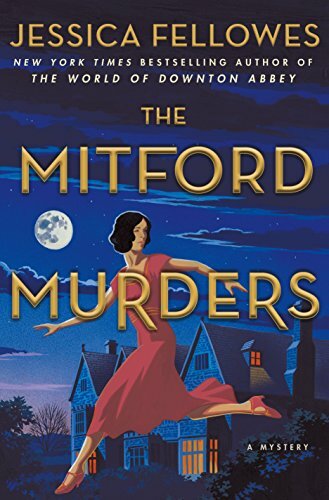 The Mitford Murders is the first in what promises to be an absorbing mystery series. Kathleen Kaska is an award-winning author of numerous books of fiction and nonfiction as well as travel articles and stage plays.Her novels include the Sydney Lockhart mystery series. Her most recent book is Do You Have a Catharsis Handy? : Five-Minute Writings Tips.